Our Dojo has a comfortable, air conditioned 1800 sq. feet of space. The floor is covered with matting to ensure safe karate lessons. Lockers and a shower are available for members. 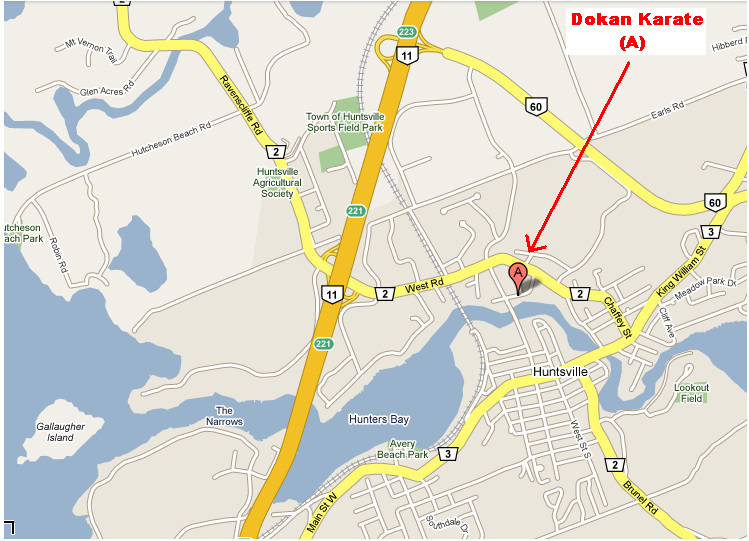 23 Dairy Lane -Huntsville, Ontario. Directions from Hwy. 11- Take Muskoka Rd. 2 exit. At 2nd set of lights turn right onto Center St. Turn left onto Dairy Lane and an immediate right into parking lot.